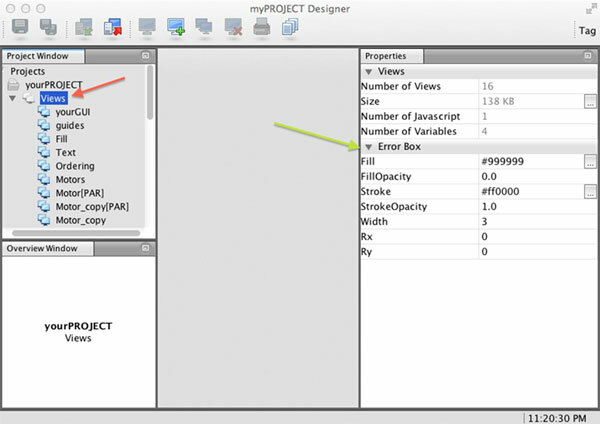 If you select a view from the project tree, your will see its properties in the Properties window. Now look at the properties window. It has several sections. 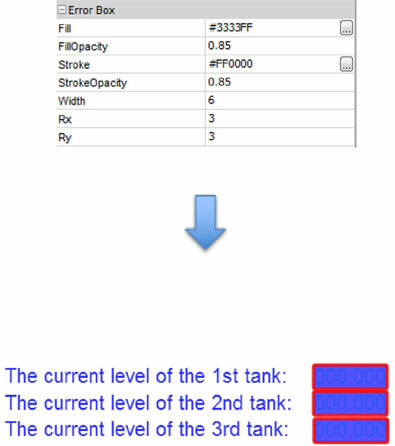 Parametric View: Option to create a parametric view – use parametric views when you need multiple views different only in a data source; such sources are specified by the received index when a parametric view is prompted (see Commands – Open command and Parametric window). Layout: Active layout for this view. For more info, please look at section Layout Views. Layout Mobile: Active layout for mobile devices. For more info, please look at section Layout Views. View Access Group: minimal level of access for viewing. Enter a level between zero and nine: None, 0, 1,…, 9. For more info, please look at the section UserAccesses. Write Access Group: level of access for writing to the PLC. Enter a level between zero and nine: None, 0, 1, …, 9. For more info, please look at the section UserAccesses. 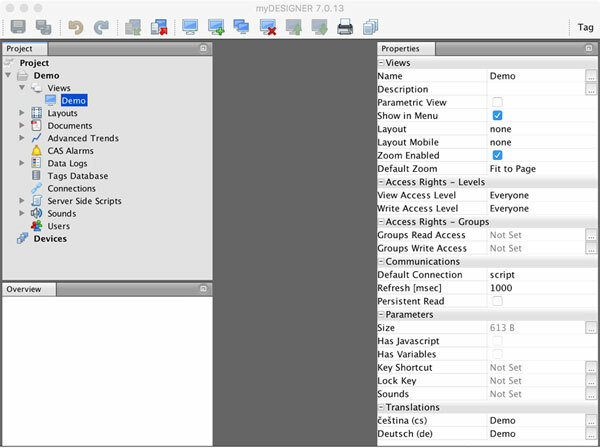 Groups Read Access: List of user groups to allow view access. For more info, please look at the section UserAccesses. Groups Write Access: List of user groups to allow write access. For more info, please look at the section UserAccesses. Persistent Read: If this option is enabled, mySCADA will read all the data from the PLCs, even if the view is not being viewed by anyone. This option is useful for fast view refresh when loaded; however, heavy usage can lead to a slower overall reaction of the system as more data is read from the PLCs continuously. Connection: List of PLC connections defined in the current project. This is a default connection – if you enter the tag and do not specify the connection, this connection will be assumed as default. Refresh: Refresh rate of the View in milliseconds. Size: Displays the view size in kilobytes [kB]. Has Variables: Checks if the view has view script variables. Lock Keys: If enabled, set commands will be active only if the lock key is pressed. You can define a graphic representation of an “offline” error for objects tied with the tags for animation. 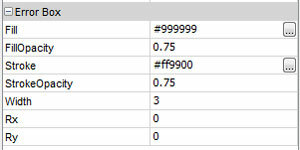 When such tags cannot be read from the PLCs, mySCADA will display an error box around such objects. In the Error Box properties, you can define the look of the error boxes in your project. Set the fill color, fill opacity, frame color, frame thickness, and opacity of the Error Box. With the parameters Rx and Ry, you can change the softness of the Error Box corners.